We love sharing good deeds like a great one we saw in February when good Samaritans came to the aid of a 3-year-old girl in China who fell in the gap when boarding a train. The girl ultimately was fine thanks to the dozen or so commuters on the platform rushing to her aid. In fact, because train platforms can be especially treacherous, the London Underground started a campaign in 1968 using the phrase “Mind the Gap” to alert passengers to the space between the platform and the train. Now, the phrase is used by transit authorities around the world. 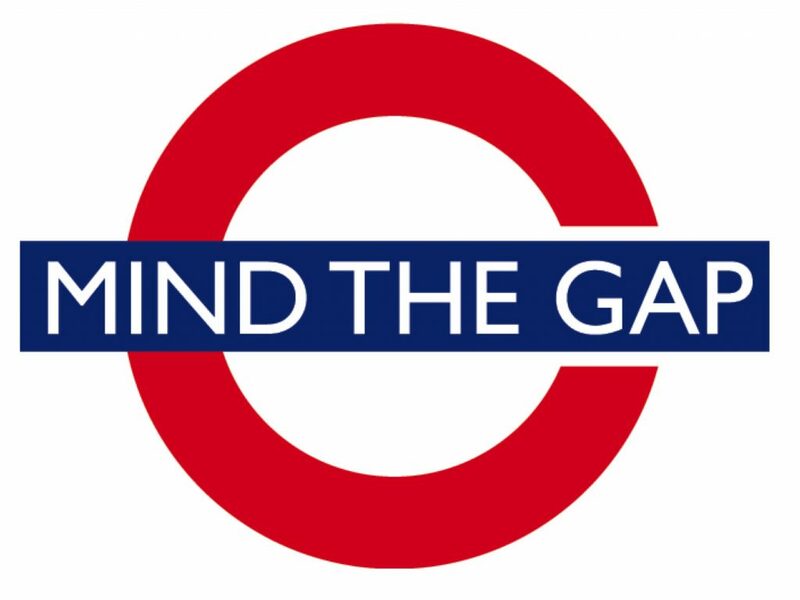 Like passengers on a train platform, we in the social sector also need a reminder to “mind the gap” between where we stand and where we want to go. Our favorite tool for minding the gap is organizational dashboards. Dashboards can be useful in a number of ways, such as tracking key metrics for programs, fundraising goals and progress toward a strategic plan. Dashboards mind your organization’s gap between merely collecting data and turning data into insights used for decision-making. In addition, they are a great tool for not only tracking progress, but also for communicating it. For example, board and staff can quickly review the dashboard and focus on things that need their attention. To do this effectively, many people use signal lights (green = celebrate, yellow = caution and red = act) or other color-coding processes. Armed with this information, your board and staff can know when to spring into action. To develop a dashboard, it is important to decide what indicators to track. For a strategic plan, organizations develop high-level objectives about where they want to go. For example, a high-level objective could be to improve internal communications. Once that is defined, staff and/or board need to develop a connected project plan (e.g., assemble a committee) with deadlines, owners and completion percentages associated with each activity to track progress toward the objective. You may even want to go beyond measuring it through completion, by measuring improvement through an employee survey. We have included a sample dashboard in Excel with many types of objectives to better understand how to construct one. For fundraising, organizations develop budgets that forecast how much money is needed to support the organization. For example, fundraising could track the number of asks requested, expected, and received per quarter to ensure that the organization will met or exceed fundraising targets. You may even want to compare this year-over-year to find giving trends. For a program, organizations may want to track key metrics that can be regularly updated and reviewed for program improvement. You might want to start with the end in mind – for example, how will we use this information? Then, decide what data to collect, where it should come from and how often you will track it. We hope you start to “mind the gap” by using dashboards as a tool to communicate as well as track your progress toward your strategic plan, fundraising goals or program metrics. The key to success is unlocking the data points that matter the most, making it easy to track them and regularly reviewing them for celebrations or course corrections. We welcome your input on how you use dashboards as a part of your organizational culture.